Left to right: Qiwei He( Yr10), Angus Brady (Yr11), Michael Girvan (Yr12) & Aoibhe Lovell (Yr10). 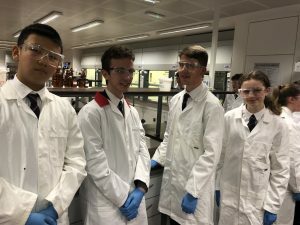 Aoibhe Lovell (Yr10), Qiwei He( Yr10), Angus Brady (Yr11) and Michael Girvan (Yr12) represented Aquinas in the annual RSc Top Of The Bench competition hosted in Queen’s University Belfast. Each year, teams of four 13- to 16-year-old students, compete for the Top of the Bench trophy. The competition was fierce with 12 teams from throughout Northern Ireland taking part. The competition consisted of three rounds including quizzes, presentations and practical experiments. The competition concluded with a drama filled table quiz were we lost to the team from Dalriada school. 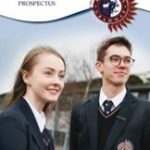 It was an excellent night with the four students doing Aquinas proud. Well done team!